Innocent has joined a growing list of big names taking a stab at the dairy alternatives market. Image: Josefine Stenudd. In recent years juice consumption has suffered from high price points and the demise of the sit-down breakfast. Now the category’s leading brand in the UK has decided to hedge its bets elsewhere, giving other juice providers a major cause for concern. Innocent has joined a growing list of big names taking a stab at the dairy alternatives market, with the brand recently announcing the impending launch of three new vegan-friendly products. These will be backed by a hefty £4m investment that underlines the importance it has placed on its new range. The news does not come as a particularly big surprise as Innocent is known for keeping its finger on the health and wellness pulse. As volumes of milk alternatives continue to soar in the UK – rising by almost 25% in 2017 – the market is an obvious place for the brand to look for further growth. The success of Alpro’s plant-based range will undoubtedly have played a role in Innocent’s decision to branch out. And by using a minimal set of ingredients and 30% recycled plastic packaging the brand is ticking all the right boxes as it looks to add environmentally-conscious vegans to its legion of followers. But what of its juice production? Naturally, Innocent will claim it is as devoted to its core market as ever and, having achieved a volume growth of 16% in the UK in 2016, it has little reason not to be. However, the sight of a leading juice and smoothie brand looking elsewhere will likely be taken as a bad omen for other players in this unstable category. This does not seem to be a one-off venture either. It has been described by Innocent as a ‘huge opportunity’, which UK and Ireland managing director Nick Canney says is ‘just the beginning’. This is all excellent news for vegans, but other juice manufacturers may be wondering where this leaves their products if the brand feels growth is more likely elsewhere. A successful launch for this new range could potentially spark a mass exodus from other key players. To say that current UK data trends for juice are discouraging would be an understatement. The category has not grown in volume since 2006 and, as the carbonates market has shown, reversing a long-term decline is likely to be extremely difficult, if not impossible. The growing interest in dairy alternatives is not to blame for this slump, of course. The importance of healthy consumption has slapped a high price tag on juice products due to their premium positioning, whilst the mass surge of health-focused advertising elsewhere in the market means juice no longer stands out quite as much. Consumers’ heightened awareness of sugar content has also drowned out the communication of juice’s distinctive benefits. Whilst the trend towards vegan drinks remains relatively small for the time being, it has the potential to grow into a considerable threat – and there are only so many hindrances juice can take before its standing in the soft drinks market becomes irrecoverable. 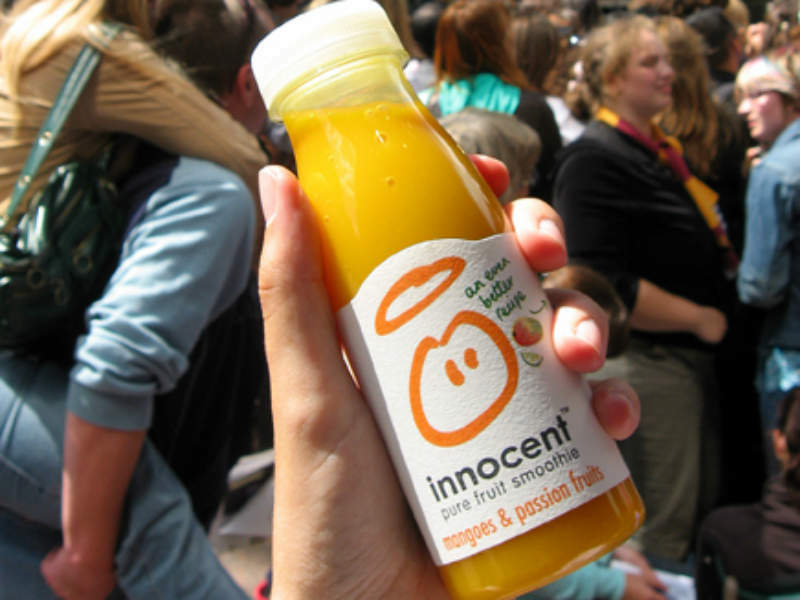 Given time and support, Innocent’s vegan expansion could seriously hurt its core market – juice companies will be hoping the brand doesn’t fly the nest for too long.